On this page we are going to look at a few different methods for increasing the number of visitors to your website. We wish we could tell you that increasing website traffic is easy. Sadly it is not. You could have the best site in the world, but if you don’t put the effort into promoting it then you are not going to get any visitors. If you do not have any visitors then you are obviously not going to make any money. This is not a complete guide by any stretch of the imagination, and it is written with the beginner in mind. However, there are more than enough ideas on this page to get you started and to get that initial traffic rolling in. This needs to be one of your main focuses when you are looking to boost the amount of people landing on your blog. This is because most people will find you through the search engines. 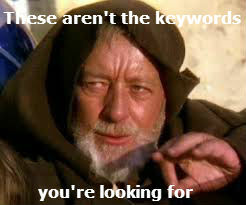 A large study by AOL showed that 89% of internet users never go beyond the first page of search results. So it stands to reason that getting onto page one is absolutely crucial if your business is to reach its full potential. 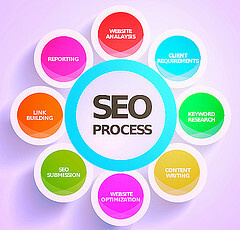 Obviously there is plenty that can be done to boost your SEO ranking off your website (link-building, etc), but that is going to be completely pointless if your content on your website isn’t put through the SEO process too. It is important to note that SEO content does not mean content that is peppered with keywords that will make your content an unreadable mess. Don’t think that repeating a word or phrase over and over will score you any points with Google. More importantly, people will not want to read your articles because they are clearly being written for search engines rather than human beings. Your goal should be to produce interesting content that is built around your product or service, and reads remarkably well. Remember: one of your main focuses will be to get people to share your quality content. After all, the more shares you have, the more links you gain, the more visitors will continue to engage with your site, and the faster you will climb up those searches. At the very minimum you will want to register your business on the following social media sites. You may wish to change this up slightly depending on what niche you are operating in (e.g. some companies like interior decorators, florists, and artists may benefit from Instagram, Houzz, and Pinterest). All of the content that you produce needs to be shared on these social networks. If you use social media marketing well then new clients will discover your content and potentially stumble across your page. In addition to this, if the content is tremendous, it will also be shared among your social media followers. This keeps them up to date with updates to your blog and encourages them, and others, to come and visit your site. It is important that you install Google Analytics (completely free!) on your website. It is a bit tricky if you are a novice, but you can find the directions here. You can then take a little peek at where your traffic is coming from. If it seems to be coming from one source more than another then try and work on increasing traffic from that source. For example; if you are getting tons of traffic from a particular blog then try and work out a deal with that blog to see whether they are willing to share more of your content in the future. If you are getting a lot of traffic from a particular social media site then try and share more useful content to your followers. Also, by examining the search data, you can determine whether you are wasting time by trying to rank for keywords that do not bring visitors to your site. Google Image Search should also deliver a rather hefty amount of traffic to your site. Most people do not even pay attention to this easy visitor source either (perhaps because they do not know how to). Make sure you fill in all the relevant tags for the images that you upload. If you are unsure how to do this then make sure that you talk to your web designer or SEO expert who will be more than happy to provide you with a nudge in the right direction. The factors you want to pay particular attention to for image-based SEO are the image’s: title tag, alt-img tag, and description. There are a number of websites built around the idea of social sharing. The more popular of these sites are Reddit and StumbleUpon. With high quality content you can really target your target market through these sites and you will get a rather hefty amount of traffic for your efforts too. It is however important that you play by the rules that these sites have in place. The last thing you want to do is come across as a spammer as that is obviously not going to be good for the reputation of your site! Reddit can be ruthless, so find a subreddit related to your business, offer genuine comments, and when appropriate, share something you’ve written on your site if it will help the community there. Guest blogging is a brilliant way to bring traffic to your site. The idea is that you will produce content for similar sites in your niche. In return, they will then take your content and include a link-back to your site. If you choose the right people to guest blog for it is likely that you will generate a rather substantial amount of traffic. Remember; the content that you guest post will need to be 100% unique (i.e. you can’t use it for your own website). It is also important that you allow guest posts too. Not only will this show that you are more than happy to exchange guest posts, but it will also result in a nice piece of unique content on your website which will draw in site visitors! Yep. People still subscribe to RSS and Email Feeds. You should have some way on your blog to allow people to subscribe to your feeds. This means that every time you have a new post these people will be notified. This will keep them coming back for more and more. You may wish to look for a couple of blogs and forums in your niche. You can then comment on them. Remember; just like before, it is absolutely vital that you play by the rules on these sites as you obviously do not want to receive complaints that you are spamming. This will harm your company in the long run, particularly if you are commenting on a very big website in your niche. Remember; this is just a small introduction to the various techniques that you can utilize to boost your position in the search engines. There are more than enough ideas here to get you started though.